The California Fan Palm is a stately and beautiful tree, especially in its habitat near sources of water in the desert with its thatch of dead leaves clothing the full length of the trunk. 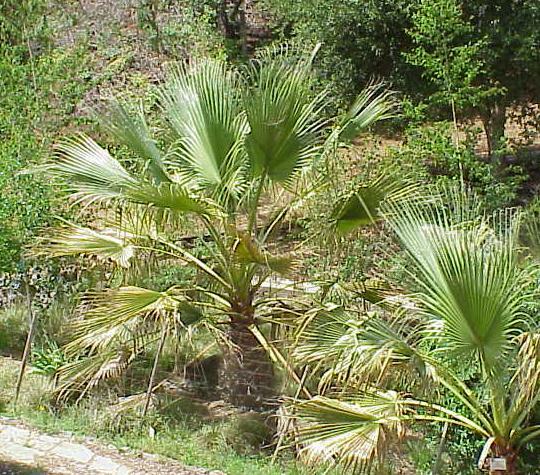 As a young plant it can be distinguished from Washingtonia robusta by its thoroughly green and only lightly armed petioles as well as the abundant threads on pendulous leaflets. 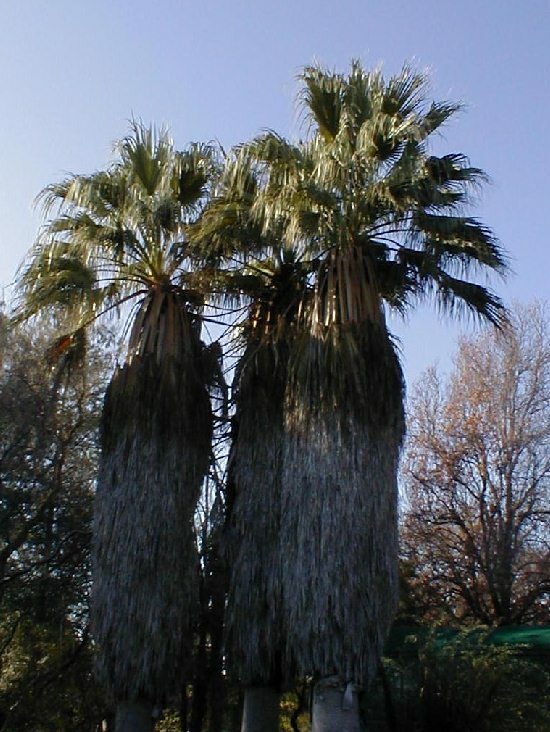 Washingtonia robusta has stiffer leaves which lose their filifera quality with age. 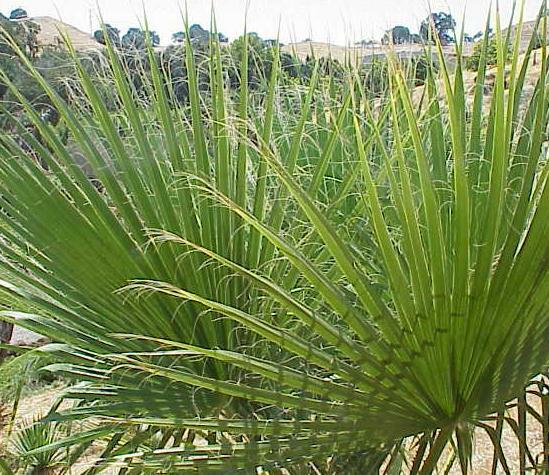 Leaves of Washingtonia filifera are also more deeply divided and form a more open crown than that of W. robusta. The trunk of Washingtonia filifera is also quite stout and columnar, much less flared at the base than Washingtonia robusta, with twice the diameter. Sadly, California's only native palm is seldom grown now, probably owing to its utter intolerance of humid and coastal conditions. Although hardy to extreme cold when dry (as low as minus 10 degrees F.) when grown with any coastal influence and without desert heat. It invariably succumbs to the endemic diamond scale fungus, to which Washingtonia robusta is resistant. It is also tolerant of extreme alkalinity and even brackish conditions. The Ruth Bancroft specimens pictured are about 32 years old.